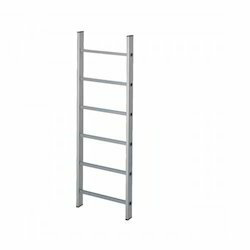 Manufacturer of a wide range of products which include aluminium vertical ladder, vertical ladder with pre-assembled fall arrest rail and service lifts fs-200 sl-s.
Dimensions (l x b x h) 60 x 25 mm & 72 x 25 mm. Material Aluminium Al Mg Si 0.5. Dimensions available in 2 options: 60 x 25 mm & 72 x 25 mm. Rungs: non-slip lengthwise and crosswise ribbing 30 x 30 mm. Material: aluminium Al Mg Si 0.5. EN 18799-1, EN ISO 14122-4, EN 131. Aluminium ladder complete, without accessories. Ladder-connectors and end-caps to be ordered separately. Dimension (Cubic millimetre) 60 x 25 mm & 72 x 25 mm. Available in anodized aluminium/galvanized steel. Available in anodized aluminium with dimensions - 72 x 25 mm. 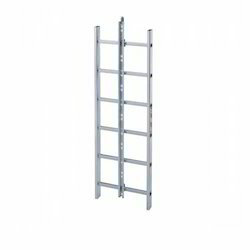 Available in galvanized steel with dimensions - 60 x 25 mm & 72 x 25 mm. Ladder, fall arrest rail, fixations on rung, fall arrest rail connector. All ladders completely assembled, other lengths upon request. A rope-guided service lift - ideal wherever a flexible and economical solution is needed. Electrically monitored shutter door for entrance as well as exit to and from the platform. Compact aluminium design allowing for 2 people and material. Ultra-sturdy lateral guiding ropes ensure smooth operation of the cabin. Standard travel limit switches positioned above and below the cabin. Additional safety limit stops positioned above and below (switching frame). 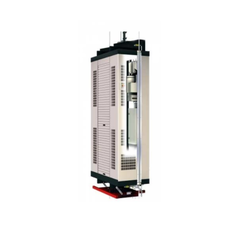 The arrester protects the cabin against overspeed duringtravel, and in the event of a break in the bearing rope. In the event of a power failure, the cabin can be moved downwards using the emergency descent device. Looking for Wind Tower Internals ?